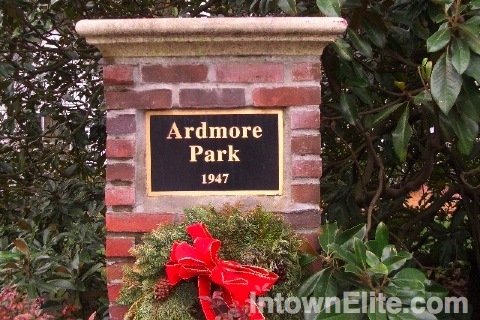 Ardmore Park is a small neighborhood in south Buckhead built in the 1940's on the site of Andrew Jackson Collier's home, between Collier Road and 28th Street, Peachtree and Ardmore Road. It contains both condominiums and houses in an environment of mature trees that provides a park-like feeling. The Ardmore Park neighborhood has its own park of the same name, featuring a playground, picnic tables and a paved walking path. Ardmore Park residents enjoy pedestrian access to Tanyard Creek Park and Memorial Park as well. Ardmore Park is north of Brookwood, west of Brookwood Hills and east of Collier Hills.